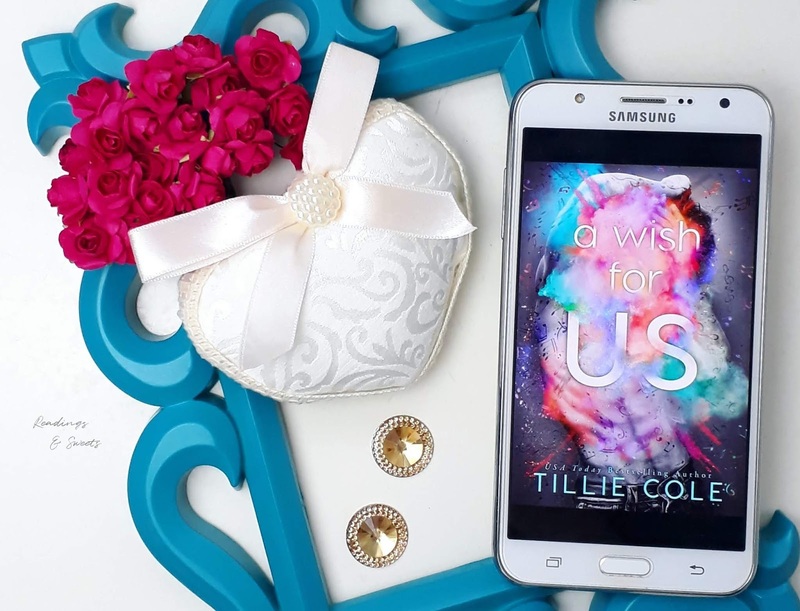 Today's review is from about a that will break your heart... And could it be any different coming from Tillie Cole?! Though Cromwell makes eveyone get high with his music, the young musician is completely numb; until Bonnie Farraday walks in bringing new colors to his life. Check ou the review of this amazig book! Cromwell Dean is a rising star of eletronic dance music. He travels the world sharing his music to crowds, and though he's known to make everyone high with his music, that doesn't happen with him; he's completely numb, no feelings, the only constant things in his life are the colors. Until a girl in a purple dress appears in the night club he was playing and caught his attention. Since the beginning Cromwell wanted to know more about that girl who was so different from the others around her; not just because the way she stands but because of the new colors she brought to his world. But in a minute the girl was standing in the middle of the crowd and in another she was gone. Later that night, they meet again and Cromwell ends up listening some painful truths about his music. Little he knew their paths would cross again. This time Cromwell and Bonnie Farraday would be forced to face each other at college and work together on a project. But just like that night on the beach, Cromwell and Bonnie seem to have problems to in the same place without arguing. All the young girl wants is to finish the project without any kind of stress, mas it seems the DJ dind't care with anything and doesn't make Bonnies life easy. When things start to change, he knows he wouldn't let Bonnie go away to easily, even if she tried. But the situation gets even more complicated and, though Cromwell always have been the troublemaker of the equation, now Boonie was the one who needed help... Bonnie's colors were starting to fade away and it was up to Cromwell decide if he would protect his heart from total destruction or if he would go for it and help to keep Bonnie's color alive as long as he could. I really loved 'A Thousand Boy Kisses', but 'A Wish For Us'?! Dear God, what a book! It's a helluva book, it's everything! That was a really good shot, Tillie! Once again I had my heart broken because of a book, more tears cried because of the characters! Tillie Cole definitely knows how to tear our emotions apart... Damn! This book will broke your heart, literally! It's impossible you don't fall in love for his character, especially when the author starts to show what happened to him and how all that affected his life. And then we have Bonnie, a bubbly character who was not very happy when she realized her 'idol' wasn't all that thing, and his new music wasn't what she expected... But lets face it: Cromwell didn't help his case. From night to day Bonnie finds herself being forced to face the young DJ who is now her classmate. The fact he being roomate with her twin brother, tells her he would be around for a while. When things start to change between Bonnie and Cromwell, she knew what it needed to be done and I loved the way the author showed us Bonnies conflicts and the uncertainties about her future... Wow, my heart hurts! Tillie Cole has a gift on writing and creating wonderful stories and strong characters! Bonnie and Cromwell are amazing figures and it's impossible to not fall in love with them or feel their pain or even to be passive with the injustices of life. Another plot full of breathtaking twist that I couldn't stop reading... Well done, Tillie! Oh, and if you have problems readings some sensitive themes, or if you have some kind of trigger, please be careful, ok? Don't wait and grab your copy today!